Karenjit Kaur’s third season which is also the final season of this web series is finally out, and we rushed to it and completed the entire series in one go. We got to admit that the third season is the best season yet. 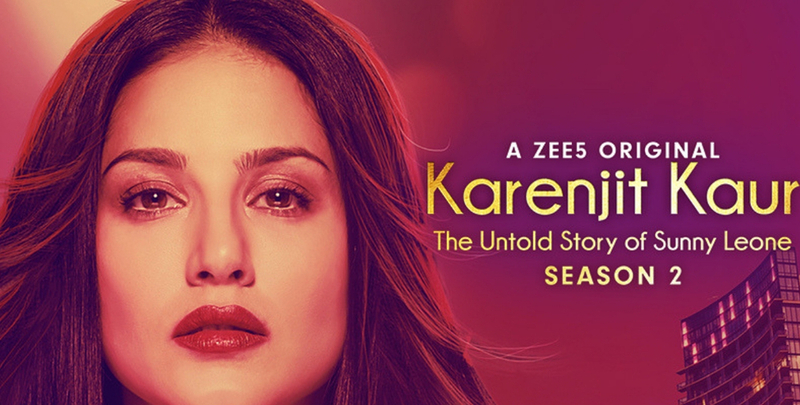 Karenjit Kaur Season: The Untold Stroy of Sunny Leone Season 3 not only shows the struggles in Sunny’s life but also shows how she stands up each time falls. Before we get started with the Season 3, we know that some of you might not have watched the first two seasons of this amazing show. So we made sure there is no spoiler in this article, your welcome. Today, we are listing down things that you would miss out if you do not see the final season of the most on-going show of 2019 Karenjit Kaur. Family Drama: Longtime followers of Karenjit Kaur would know that family drama is one of the selling aspects of this fantastic show. Right from her loving relationship with her brother to her feuds with her dad, season 3 is short of an emotional ride. For a web series that showcases the early life of an adult star, Karenjit Kaur is more of a tumultuous personal journey than a marketing strategy to promote Sunny. Just like the other two seasons, even this one is infused with elements that will leave you in tears by the end. Her Love Life: Who does not know Daniel Weber? Daniel is the husband of one the most googled celebrity of India, Sunny Leone. In the final season of Karenjit Kaur, you will finally get to see how they met and fell in love with each other. You will also get to know how despite all odds, sunny was able to marry the love of her life. Seeing Daniel stand with her through the tough times will make you believe in love all over again. The Director’s Touch: One thing that is common in all the seasons is its great production value. Director Aditya Datt has managed to pull off yet another amazing season with some tremendous eye-pleasing visuals. Though the first two seasons were great, this one is hands down his best work. Aditya has maintained a calm tone throughout the season and never went extravagant with anything. He knew exactly what people were expecting from the final season and has successfully hit all the right notes with this one. Her Brother: If there is one character, apart from Sunny, that carved a special space in the audience’s heart since the inception of Karenjit Kaur, then it has to be her brother. Though he shared small screen time, he made each minute count. He is caring, funny, defends Sunny all the time and of all the characters in the show, we, personally, would miss him a lot. The ending: Every great story deserves a great ending, and that’s exactly what you get with the final season of Karenjit Kaur. Director Aditya Datt left no stone unturned in providing a satisfying ending to this remarkable show. The show answers all your unanswered questions while keeping you on the edge of the seat. These are just some of the many prominent things you will miss if you do not watch the Karenjit Kaur. Also, if you have never watched this show, then now is the right time to binge watch the entire show. Have you watched Karenjit Kaur Season 3? What are your thoughts? Let us know in the comment section.